Five years ago, I traveled to Paris for the first time. This was only my second trip to Europe, and I had no clue what was in store for me. I merely had about 48 hours to spend in the City of Lights with my now husband. Back then, I was working 6 days a week as a pastry chef and rarely got time off. I was giddy simply to be in Paris! Blurry eyed, I landed around 6 a.m. and took the train into Paris by myself. Luckily, Jason met me at Gare du Norde since he had arrived the night before from London, where he had been working for two months. We immediately dropped my suitcase off at our hotel and headed to Ladurée to squelch my macaroon and pain au chocolat desires. We stayed at a hotel that was close enough to Ladurée so I could buy pastries there every day! Then, we strolled down to the Place de la Concorde, through the Tulieries Garden and by the Louvre Museum. I had no desire to wait in line to see the Mona Lisa so Jason steered us toward another garden, which I later learned was the Jardin du Palais Royal. It’s ironic now to look back and realize how few photos I took that initial weekend in Paris! 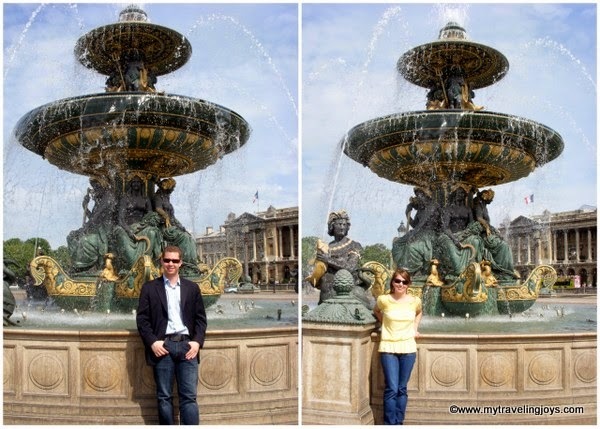 May 2009 - Jason and I exploring Paris. Inside the tranquil Jardin du Palais Royal, which dates back to the mid-1700s. 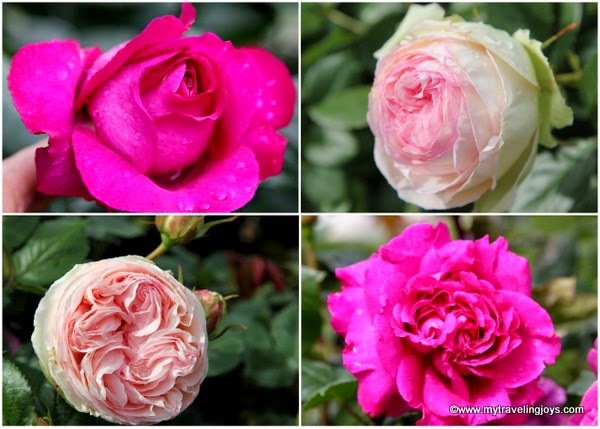 We walked under a canopy of trees and then admired the beautiful roses, which seemed as large as salad plates to me. The park was tranquil and set back from the business of Paris. I couldn’t have asked for a more romantic place at that moment. I don’t really remember how it happened, but there we were sitting on a park bench and talking about who knows what. Suddenly, Jason got down on one knee and pulled a small, black box out of his jacket’s pocket. I couldn’t believe it! Finally! The box included a mini spotlight that shone on the sparkling diamond ring. Jason asked me to marry him, and I said yes! After all, we were in Paris. May 2009 - Showing off my new ring at lunch in Paris. In May, almost exactly 5 years later, we returned to Au Pied de Cochon for dinner. I couldn’t have asked for a better dinner date or partner in our crazy expat life! 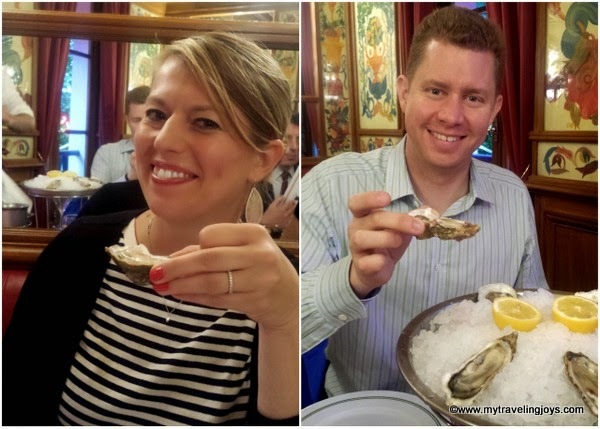 May 2014 - A return trip for dinner at Au Pied de Cochon. So now you know why Paris will always hold a special place in my heart! May 2014 - Of course, we had to re-visit the lovely Jardin du Palais Royal in Paris. happy anniversary and what a romantic story! What a lovely and romantic story!! Best to you! Thanks, Terry! 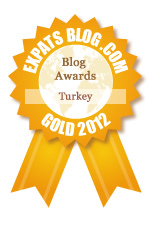 Hope all is well in Turkey! A wonderful story! Congratulations to you both. What an incredible journey it has been since that trip. How romantic - wishing you both many , many years of health and happiness. What a wonderful anniversary story! Here's to many more! Çok teşekkürler, Annie! I hope we're still having adventures through our 90s like our grandparents! @AK, Jason asked a girlfriend for help. I honestly had no idea bc we hadn't even looked at rings - EVER! @joseph, thanks for stopping by! But no matter where you end up someday, Poznań will always have a special place in your heart too, I'm sure! Such a beautiful, romantic episode in your life. Sigh! Happy Anniversary.